Are you one of those companies that would rather preserve everyone than let them go? Right now, I know of at least one organization where — despite lackluster performance, poor behavior, and the disbanding of their team of direct reports — a leader is being salvaged beyond their time because no one has the juevos to let go of the people who are detracting from the organization. With the exception of a select group of companies, it has been my experience that many of you see your workforces as being dispensable. If business is down over a period of time and tough decisions have to be made, you lay off people without blinking an eye. If one of your employees doesn’t exactly fit the mold or doesn’t flow with the way of the company, get rid of them is what you say. Oh, but there are a select “untouchable” few that get to stay for the ride. They have a certain pedigree these untouchables. If you went around and did a very unofficial survey of your workforce at the moment to find out who people believe are “untouchable” in your organization they would either be reluctant to answer and/or with some further assurance of no retaliation — they would give you at least one name. Note: Silence is also an answer. Sometimes these people are at the staff level. In the eyes of their peers, they are disruptive to an otherwise healthy work environment. They do very little, or sometimes, they do a lot. Whatever they do, they are not interested in assimilating and working cooperatively, because they don’t have to. Despite any complaints or even visual cues that they are contaminating your ecosystem, and you the employer continue to reward poor behavior by promotions that they aren’t worthy of. You offer these “untouchables” opportunities that your other employees would die for. In fact, they may be dying for said opportunities as they continue to work painfully hard hoping that it will someday be recognized and rewarded. What of the untouchable leader? 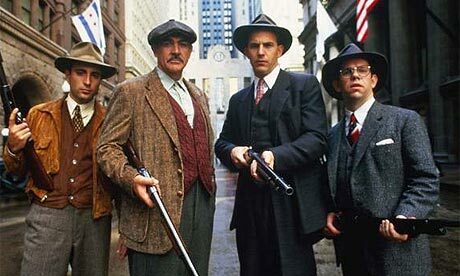 This is probably the most damaging of all of the untouchables. You all know at least one leader that you have encountered that shouldn’t be allowed to lead anyone, let alone be employed by a company in such a capacity. They are not always the vile characters we often think about. Sometimes they are just cunning, undercutting, always playing and dealing a card at the right time. Everyone on their staff sees them for who they are. Internal and external partners even see it. The trouble is when HR ignores the smoke and the C-Suite is blinded completely by charm and other artificially-sweetened personality trickery. There are usually attempts to dethrone this person, but they are usually thwarted by a lengthy list of reasons why the person cannot be fired. You may be saying, “This is how it is,” If that is your stance, you should also be made aware of the damage these people cause. You are setting a precedent that good performance and showing up every day in a positive manner has no bearing on an employee’s success in your company. These people disrupt the office environment. People tip-toe around them, avoid them and are sickened by having to share in office events or the presentation of yet more accolades for someone who really isn’t deserving of any of it. It causes a slow and painful deterioration to both employee loyalty and effort. Some will hang in there with you, but many will see your allegiance to an untouchable as a personal affront to their career aspirations. If the sentiment is the latter, you will either lose people or see people do less, because they will figure working hard isn’t a worthy approach in your company. It’s important to be cognizant of the messages you send about what success looks like in your organization. It’s fairly easy to write down a mission and values statement, but what does that look like in practice? Be sure that the picture of success that you woo candidates with is the same view they have as they progress through your organization.